Fairview School Community Garden: “Since 1993, this school-based community garden has served as a focal point in Sun Valley, bringing this small neighborhood together by creating a culture of open-mindedness and respect. The Fairview Garden is a place deeply rooted in learning and sharing, serving as a major teaching site for DUG’s education team. Even if you missed the tour, these gardens are always open for a visit. In fact, you won’t be able to resist taking a peek if you happen to be strolling through the neighborhood. So what about your own backyard gardening possibilities? Heading into fall is a great time to get your garden and soil ready. To accomplish that task you might need to move some things around and by things we mean dirt. If you’ve tried to grow in the past but without much success it could be that your soil isn’t fertile. 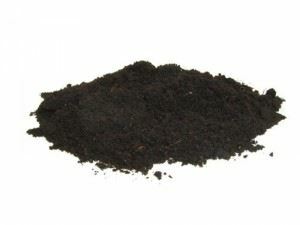 That can be fixed by digging up the old dirt and replacing it with nutrient rich topsoil. You might have to let that soil go through a winter season before planting but by then it will be primed and good to go. But what will you do with all that old dirt? You don’t have to worry about that if you call Junk King Denver. On some level, Junk King could change their name to Dirt King. That’s because they have helped a lot of Denver residents haul dirt from their property. Often this dirt was dug up to make room for sprinkler systems, a pool or new patio. The reason doesn’t really matter to Junk King Denver. All they care about is getting that dirt out of your way so you can do what you want with your backyard. And don’t hesitate to ask Junk King to toss out piles of your unwanted stuff along with the dirt. That’s really cleaning up! This entry was posted in Denver Junk Hauling, Denver Junk Removal, Dirt Disposal, Junk King Denver and tagged Denver Dirt Disposal, Denver Dirt Hauling, Denver Dirt Removal, Denver Yard Waste, Junk Removal Denver on August 30, 2012 by Paul Durant. Last updated August 1, 2017 . This summer a unique new rental business has popped up in New York. For a $100 folks can rent a backyard. This particular backyard is really an abandoned lot squeezed between two buildings that a pair of savvy entrepreneurs made a deal for. The “landlords” spruced up the yard with a couple of BBQ grills, coolers, lawn chairs and hula hoops. When they first advertised the yard they were swamped with 1,000 requests from potential renters. Apparently, folks in New York are starved for what most Denver residents already enjoy: an idyllic backyard. What kind of shape is your backyard in? Have you made the most of it during the summer? It’s not too late to give your yard a make-over. Backyards evolved over the lifetime of a house. With young kids, that backyard becomes a place of adventure and fun all safely enclosed within the confines of a fence. This might mean assorted play sets, sand boxes and tree houses filling up the yard. As the kids grow older the need for a playground shifts into the need for a place where the teens can hang out or mom and dad can unwind after another hard day of work. Gone are the play sets and in their place would be cozy patio furniture. For folks who want to get their grill on there could be sections of a backyard devoted to an outdoor kitchen. Forget the old school grill on a set of wheels. Today’s serious grillers build a cooking station from the ground up complete with sink, countertops and storage areas. Naturally, an area like that requires an inviting dining zone. Many memorable meals have been served in Denver backyards all throughout the warm months. 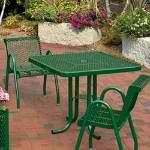 But if your patio furniture isn’t as “inviting” as it should be then perhaps it’s time for replacements. Actually, this is probably the best time to go shopping for patio furniture. As the stores gear up for the fall, they want to move out their summer stock. You’ll find plenty of bargains to be had. After picking out your new furniture and scheduling a delivery you’ll have to make arrangements to get rid of the old stuff. That can be accomplished with a single call to Junk King Denver. Junk King is the Denver based local business who specializes in all kinds of junk removal. Most folks call on Junk King to help remove the clutter from their garages, basements or attics but Junk King Denver is quite adept at back and front yard junk removal as well. Not only can Junk King help you get rid of your old patio furniture but they’ll also take away all the yard waste, piles of dirt, piece of broken concrete and wood you want removed. With one appointment from the Junk King you can return your yards to former glory and begin a new chapter in outdoor entertaining. What else is a backyard for? This entry was posted in Denver Furniture Disposal, Denver Furniture Pickup, Denver Junk Hauling, Denver Junk Removal and tagged Denver Furniture Pickup, Denver Junk Removal, Denver Patio Furniture Disposal, Denver Yard Watse, Junk King Denver on August 21, 2012 by Paul Durant. Last updated August 1, 2017 .